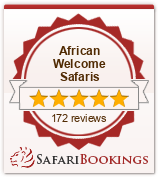 Ulusaba Private Game Reserve is located in the western sector of the Sabi Sands Reserve. We’re close to Kruger National Park which is in the Mpumalanga province of South Africa. Ulusaba has 21 rooms and suites spread over two lodges. Rock Lodge is ‘Heaven in Heaven’, perched high on the summit of a koppie with views over the South African bush below. Nearly 500 metres away is Safari Lodge, known as ‘Heaven on Earth’. Built along the banks of a dry riverbed, Safari Lodge guests cross swing bridges between the exquisite tree house style rooms. For the ultimate experience, guests can share their time between both lodges. Rock Lodge is perched high on the summit of a koppie with views over the vast lowveld and the distant Drakensberg Mountain range. There are ten rooms and suites individually designed with the colours denoting a different African tribe or region. These include four Rock Cliff rooms, one Master Suite, two Makwela Suites with private infinity plunge pools and one two-bedroom Rock Suite. Located a short walk from the Main House at Rock Lodge, Cliff Lodge features two magnificent suites offering guests the ultimate in safari luxury. Cliff Lodge 1 has a private pool and a second bedroom for one adult or two children, and Cliff Lodge 2 has its own Jacuzzi with stunning views over the bush. When you hire both suites for exclusive use we include your own chef and private vehicle for game drives. Cliff Lodge can accommodate a maximum of 5 adults and 4 children when booked exclusively. Safari Lodge is located beneath a canopy of ancient trees on the edge of a dry riverbed. Guests will love the sense of adventure as they cross rope bridges between tree house style rooms, with local wildlife passing by. The eleven rooms include a Treehouse Suite overlooking the nearby Xikwenga Dam and are split into Safari, Elephant and River Rooms, some of which have private plunge pools. The Treehouse Suite is located a 15 minute walk along a raised walkway from the main lodge. Our internationally renowned chefs at Ulusaba have developed numerous pan-African dishes influenced by many African cultures, flavours and spices. Whether dining under the African sky, in the outdoor dining Boma, on a deck or in the dining room, our menus and meals promise to be exciting, social and inspirational. All our breads and pastries are baked daily and we also cater for private meals, special occasions and children. When not occupied on a walking safari or twice daily game drive, take a dip in the swimming pools or indulge in a spa treatment. For the more active, there are tennis courts and gyms available. Try a few South African wines from the wine cellar and after dinner enjoy a spot of stargazing at the bush observatory. Nothing gets past our experienced Rangers and Trackers on the twice daily game drives (well, mostly!). Traversing over 13,500 hectares in open Land Rovers, they will share their vast knowledge of the surrounding wildlife as they track the Big 5 – lions, buffalos, leopards, elephants and rhinoceroses. Our Rangers and Trackers will also guide guests on daily safari walks to see flora, fauna and smaller creatures often missed when on the game vehicles. At Ulusaba, kids up to 11 years old can stay at Rock Lodge and are invited to join the Cub’s Club. We offer a range of activities tailored to each child or group together with Cub’s cuisine. Babysitting is complimentary and run by experienced staff members. All Cubs will be given a Cub’s Club Backpack full of little goodies to entertain and educate them about the African Bush. The Aroma Boma Spas at Ulusaba’s Rock and Safari Lodges are the perfect antidote to all the excitement of game drives. A whole range of treatments is available, from facials and massages through to those essential grooming rituals. Away from the spa you can opt to enjoy a massage in the comfort of your own room or on one of the outdoor decks. We love weddings at Ulusaba, and what could be more spectacular or evocative than a ceremony in the African Bush! Getting married at Ulusaba is the kind of wedding your guests will be talking about for years to come. Say ‘I do’ under the romantic canopy of an Amarula tree, surrounded by flaming bamboo torches, and announced by the beat of African drums. Few settings evoke a more perfect romantic atmopshere than listening to the animals whilst sipping champagne and watching the sun go down. We’ve put together four wedding options, from the simple to the lavish, all designed with you in mind. Visit our Wedding Prices page for a complete list of inclusions and rates. For those of you who have tied the knot elsewhere, honeymoons at Ulusaba are equally idyllic for an intimate and private escape to the African Bush. This romantic Ulusaba experience promises to be Heaven on Earth and a holiday never to be forgotten!